Bat Mitzvah preparations are made easy and meaningful with our veteran instructors, ensuring your child will feel confidant and ready to lead the Bat Mitzvah Service and understand its meaning and responsibility. Be well prepared for their big day and understand the meaning and lessons represented in the day. Happily enjoy their pre-Bar Mitzvah preparations. Learn significant parts of the Prayer and Shabbat services. Understand content of the Torah, Haftorah & Havdalah service. Write a beautiful and meaningful speech that explains what becoming a Bat Mitzvah means to them using a lesson learned from her Torah Portion. There are many holy ways to celebrate this special occasion to honor your child. Please contact us to discuss the best way for you and your child. Bar Mitzvah preparations are made easy and meaningful with our veteran instructors, ensuring your child will feel confidant and ready to lead the Bar Mitzvah Service and understand its meaning and responsibility. Learn to chant the Blessings before and after the Haftarah, Torah and/or Havdalah chanting. Learn to chant the Haftarah, Torah and/or Havdalah portions for the assigned Shabbat in the traditional Trop (tune). Write a beautiful and meaningful speech that explains what becoming a Bar Mitzvah means to them using a lesson learned from his Torah Portion. This service takes place Saturday morning from 10:00am – 12:30pm. It offers the opportunity for the Bar Mitzvah to read from the Bimah –Torah Reading Table, to recite selected prayers through-out the service and to recite a speech. 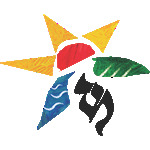 This service offers the opportunity for the Bar Mitzvah to lead selected parts of the service, to recite their speech and then continue with the Havdalah ceremony.